Sacrewell Farm is hosting an exciting pet experience day this Sunday for all of those animal lovers who are interested in meeting a wide range of pets, from the warm and fuzzy to the cold-blooded. The event is a chance for visitors to not only meet the pets at the farm near Wansford, but also to meet industry experts and explore the work that goes on at Sacrewell. As part of pet experience day Sacrewell will be judging rabbits, rodents and Guinea pigs on site and will also have a photo competition for cats and dogs. Judging will take place at 2pm. Sacrewell is also working with pet experts to get visitors up close and personal with some new furry friends. Come along and meet Chimbunny Stud, Hillside Birds of Prey, Furry Petz, Deeping Reptiles and Prehistoric Pets and the South Lincs Herpetology Society. Nuvet, will also be at the farm giving out expert advice on the day. 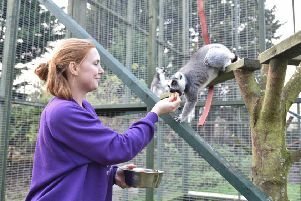 Pet owners can get free admission into Sacrewell Farm for the day when they enter their furry friends into the Pet experience day competitions. Anyone who visits the farm with their pet dogs, rabbits, Guinea pigs or rodents will get in for free. For more information you can contact Sacrewell Farm by e-mailing info@sacrewell.org.uk or by telephone on 01780 782254.